Traffic management specialists, Fenton TM, have reduced administration time allowing them to prioritise business growth and development. 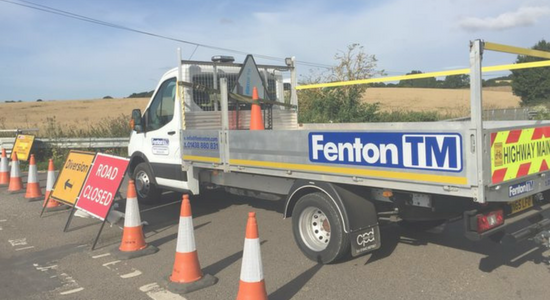 Traffic management provider, Fenton TM Ltd operate within London and the Home Counties, offering a wealth of experience to major public and private sector customers. Their success comes from the strong emphasis placed on customer focus and experience which is deeply embedded into their core values.  Fenton TM had five different processes that they needed to simplify into one centralised system. Their previous process was an unsustainable method of operation which became clearer as the business grew, wasting valuable time and resources. Director of Fenton TM, Tony Bayford, would fill out an online calendar and send jobs to operatives via a meeting invite. Once accepted, a paper diary of job information would be compiled. Operatives would then have to fill out paper job sheets on site, which needed to be returned to the office and inputted into a spreadsheet to be able to bill at the end of the month. This laborious process restricted growth opportunities and impacted business professionalism. Tony had previous experience using a digital workforce management system prior to starting the company and recognised this as an essential part to the management and organisation of a modern traffic management business. MyMobileWorkers was referred to Fenton by similar companies in the industry. This made the decision to choose MyMobileWorkers an easy one due to its reputation within the industry. With it being an off the shelf package it was something they could easily implement and use straight away with the ability to customise if and when necessary. MyMobileWorkers has changed our entire business process for the better. We now have the capabilities to grow, something that a manual process hinders. Previously, safety standards were difficult to monitor. Office staff would have to wait several days before paper job sheets were returned to the office, detailing any problems that had occurred, at which point the job would have already been completed. Fenton TM have become a more responsive company with access to real-time job information. If any problems occur, office workers will be notified immediately due to an enforced process that workers must follow and access to all job data. Safety checks and risk assessments are all digitised and integrated into the workers daily routine, including photographs and enforced checkboxes, removing the unreliable nature of paper and ensuring operatives comply with site regulations. Site inspections can also take place from the office. Before and after job photographs are enforced in the operatives’ digital job sheet, and any changes can be recorded for future proof of service. If anything is amiss, customers can be immediately informed of the work that has been carried out. Before MyMobileWorkers, live job updates were unavailable unless persistent calls to operatives were carried out. Now, live job information can be accessed without the need to micromanage operatives or interrupting the completion of their jobs. Customers are now better informed as Fenton TM have instant access to job information. As a direct result of this, the change to MyMobileWorkers has resulted in highly positive customer feedback. There has been a 75% average reduction in the time taken to organise future jobs and send them out to operatives, which now takes less than a day to complete. On average it would take 5 days after job completion to receive job sheets back from the operatives. This delayed invoicing times and impacted upon business cash flow. Now, invoices can be sent out immediately as the job has been completed. Sizeable administration savings has allowed Fenton TM to focus more of their time on sales and business development. As a result of this, Fenton TM were able to expand their workforce, hiring more members of staff for the office. Tony Bayford, Director of Fenton TM, no longer has to work in his free time and a multitude of extra hours daily to ensure the business is running smoothly, he can now spend more time with family whilst only having to work in business hours. Haven’t got time to read it now?